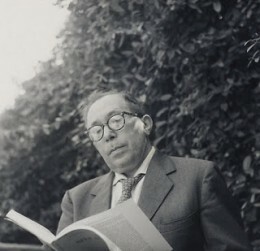 In the previous installment  of this series, I examined Leo Strauss’s argument that the roots of what he called “German nihilism” — including National Socialism — were not nihilistic. Instead, it is rooted in a moral critique of the modern world. In this installment, I examine his argument that these non-nihilistic motives gave rise to nihilism because of certain contingent historical circumstances. The second part of “German Nihilism” comprises three sub-sections numbered 4, 5, and 6. Strauss begins his account of the circumstances that led to German nihilism with a provisional definition: “Let me tentatively define nihilism as the desire to destroy the present world and its potentialities, a desire not accompanied by any clear conception of what one wants to put in its place” (p. 359). Strauss, moreover, makes it clear that he is not trying to explain Hitler’s worldview. Nor is he trying to explain why the German masses supported Hitler. Instead, Strauss is exclusively concerned with why a certain number of “very intelligent” and “very decent” college-educated “young men”—who obviously formed only a tiny percentage of the German population—came to support National Socialism. Strauss claims that he totally lacks “the gift of a lyrical reporter” necessary to communicate the emotions underlying German nihilism, but this is false modesty, since Strauss’s portrait of the young men who moved from the Conservative Revolution to National Socialism is quite vivid. William Altman suggests that it is Strauss’s self-portrait, which is true only insofar as Strauss himself was influenced by the Conservative Revolutionary milieu, but I reject Altman’s claim that Strauss was an actual Jewish Nazi. Strauss claims that these young men had no positive alternative to communism. They had a “no” but not a “yes,” therefore, they could only work to destroy, not create. This, for Strauss, is the meaning of German nihilism. Thus far Strauss has merely restated his definition of German nihilism without explaining how it went wrong and led to support to National Socialism. But already we can see that, on Strauss’s definition, National Socialism was not mere nihilism. Yes, Hitler wished to destroy Communism, liberal democracy, and social decadence. Yes, he wished to overturn the Treaty of Versailles. But these were just means to a range of positive goals that were quite clearly envisioned. Hitler wanted to unite the scattered German populations into a modern, technological society defined in racial rather than cultural terms (i.e., culturally German Jews are not Germans). He abolished liberal-democratic party politics, which had brought Germany to the brink of ruin, creating a one party state. But he maintained universal suffrage and sought to replace hierarchies based on birth and money with one based on merit. He sought to raise the living and health standards of the masses, abolish child labor, increase wages and leisure time for workers, improve industry and agriculture, build infrastructure, protect nature, foster the arts and culture, and build magnificent monuments, buildings, and urban spaces—all of which required conditions of peace, not war. The most basic positive goals of National Socialism were outlined by Hitler in 1920 in a very specific 25-point political platform, but his constructive ambitions grew after he attained political power: everything from providing warm winter clothes to the poor to rebuilding the cores of Berlin and Linz. Hitler, moreover, did not keep his programs secret. He was very effective in communicating them to the masses. Therefore, anyone in Germany in the 1920s and 1930s could easily determine Hitler’s positive goals. There may, of course, have been people who shared National Socialism’s negative goals but not its positive ones, or any positive ones, for that matter. But that says nothing about the nature of National Socialism. It merely shows that some people supported a non-nihilistic political movement out of nihilistic motives. Furthermore, the desire to smash an evil social system without proposing a clear alternative is not necessarily nihilism. Having no idea of what will come next is not the same as wanting nothing to come next. Instead, it may simply reflect realism: it is always easier to destroy than to create. It may also reflect a sense of the limits of the power to plan for the future and a faith in the potential for social self-organization. Strauss’s objection, by contrast, betrays a prejudice in favor of what F. A. Hayek called “constructivist rationalism,” i.e., the idea that one can intentionally construct social orders as opposed to merely clear away the impediments to natural processes of social self-organization. Strauss, of course, never mentions the real reason why he opposed Hitler. Strauss opposed Hitler not because he wished to destroy the modern world. Hitler actually embraced much of modernity but sought to place it on heroic-aristocratic rather than bourgeois moral foundations, which was not all that different from Strauss’s project of placing a socially conservative “liberal democracy” on the foundations of a spiritual aristocracy. No, Strauss opposed Hitler simply because he destroyed Jewish power in Germany. Indeed, that was really Strauss’s only fundamental objection to Hitler. In “German Nihilism,” Strauss’s one remark on the Jewish question is: “Their anti-Jewish policy does seem to be taken seriously by the Nazis” (p. 368). Not exactly his finest hour as a political observer. But what is Strauss’s account of the contingent situation that led German nihilists to embrace National Socialism? Strauss’s analysis turns out to be quite thin. First, he suggests that some embraced nihilism because they accepted the false premise that communism is the culmination of civilization and thus decided to dispense with civilization rather than embrace communism (p. 360). Second, he suggests that there is a natural affinity of youth to nihilism, and Germany, which was burdened both with “progressive education” and mealy-mouthed conservatism, lacked the “old-fashioned” and yet “undogmatic” teachers necessary to talk their students out of such notions (p. 361). Such teachers would have to “understand the ardent passion underlying the negation of the present world and its potentialities.” They would have to be able to “explain to [the youth] in articulate language the positive, and not merely destructive, meaning of their aspirations,” (p. 362). And who better to do that than someone who once shared those passions and aspirations but then thought his way beyond them? A teacher like Leo Strauss, for instance. Third, in Germany at the time, young people were empowered to make bad political decisions (p. 361). Fourth, instead of finding a teacher like Strauss, the young men in question encountered the Conservative Revolutionaries, the “group of professors and writers who knowingly or ignorantly paved the way for Hitler (Spengler, Moeller van den Bruck, Carl Schmitt, Bäumler, Ernst Jünger, Heidegger)” (p. 362). Finally, Strauss offers the absurd suggestion that everything could have been turned around if the young men in question could have heard the rhetoric of Churchill rather than Hitler, since Churchill calls upon sublime emotions in the defense of “civilization”—by which Strauss means the British Empire and the broader Anglosphere, which were characterized by extreme openness to Jews and (consequently) extreme hostility to National Socialism (p. 363). Since Strauss himself was quite impressed with Churchill, this counts in favor of the semi-autobiographical nature of the portrait he creates. Another theme of the mature Strauss, namely the bane of historicism, can be glimpsed through a verbal mist in sub-section 6, which Strauss labels in his outline, “On the affinity of progressivism to nihilism: progressivism leaves the aim undefined; it therefore opposes an indefinite No to the given order” (p. 356). Here Strauss urges his audience to imaginatively enter into the German nihilist point of view. He then constructs a German nihilist persona and position that would be maximally seductive to his New School audience. In his Philosophy of Right, Hegel argues that history cannot be understood while it is being made. We cannot see and understand events when we are in their midst. And we cannot predict the future. History can only be understood retrospectively, when it is complete. Then we can look back at it and see the patterns that elude us in the whirl of events. He summed this view up with the metaphor of the owl of Minerva, the totem animal of the goddess of wisdom, who takes flight only at dusk, i.e., at the end of the day, when the work of making history is complete and its products can be surveyed and understood. Strauss’s imagined nihilist then casts away the baggage of Hitler and National Socialism, dismissing them as vulgar and ephemeral. But he reaffirms the Right-wing critique of modernity that he shares with the Nazis. In truth, Strauss’s gambit of rejecting National Socialism specifically while affirming its broader Conservative Revolutionary genus is not so different from the European New Right. Strauss’s reference to “Faustic” science alludes to Oswald Spengler’s philosophy of history, which advances a radical cultural relativism which claims that different high cultures not only have distinct arts and religions, but different sciences as well. The aim of reason is to discover truths about objective reality. The sciences are just reason applied to the investigation of different realms of objective reality. Objective reality is the same for all people, so the truths discovered by reason are universal. Cultural and historical relativism denies the universality of truth claims, insisting that there are different truths for different ages and different cultures. If objective reality is one, then a plurality of culturally distinct “truths” are not objective. Reason is unable to reach objective and universal truths because it is conditioned by and dependent upon pre-rational and non-rational forces such as language and culture, which are the mutable products of historical contingencies. Reason, therefore, cannot be our master. It can only be the servant of pre-rational forces and commitments, particularly our ethnic identities. According to Strauss, objective and universal truths are foundations of civilization. Although Strauss does not say it, this would invest civilization with a universalist and thus crusading and globalizing impetus. Thus the denial of objective truth attacks civilization at its foundations. And since for Strauss, “Nihilism is the rejection of the principles of civilization as such” (p. 364), relativism is nihilism, or a form of nihilism. Strauss calls such relativism “historicism” and, in his own version of the reductio ad Hitlerum, warns that it paved the way for Hitler. In the case of Heidegger, this is true. But Spengler’s similarly radical historicism did not lead him to support the Third Reich, perhaps because Spengler himself was only three quarters German and one quarter Jewish. And of course the vast majority of Hitler’s followers were not influenced by the arcana of philosophical historicism. But recall that Strauss’s main focus is on the college educated. And with this population, Strauss has a point: if one accepts a radical Heideggerian form of historicism—if one owns up to one’s debts to one’s language, culture, and nation, which constitute one’s identity before one is old enough to exercise the power of reason—and if one honors those debts, not by paying them back (which is impossible) but by paying them forward, i.e., by perpetuating one’s heritage into the future—then one will arrive at a form of traditionalist, collectivist, and illiberal nationalism like National Socialism. Yet the question remains: was Strauss’ conversion from historicism to a kind of absolutism sincere or merely feigned? Did Strauss remain a historicist and, by his own definition, a nihilist? If so, then his critique of historicism is merely an expression of his own historical situatedness, i.e., that of a diaspora Jew who sought to promote the safety and success of his people by teaching a form of moral universalism that guaranteed their citizenship and social mobility. One cannot answer this question without a careful analysis of Strauss’s critiques of historicism. But the fact that Strauss maintained a lifelong commitment to his Jewish identity leads one to suspect that it was not reason but his own historical situatedness that had the final word. 1. William H. F. Altman, The German Stranger: Leo Strauss and National Socialism (Lanham, M.D. : Lexington Books, 2011), p. 301. 4. According to Eugene R. Sheppard, the New School’s study group on the “German Problem” included: “Eduard Heinemann (economist), Erich Hula (political scientist), Karl Mayer (sociologist), Albert Salomon (sociologist), Kurt Riezler (philosopher), Horace Kallen (philosopher and psychologist), and Felix Kaufmann (philosopher).” Eugene R. Sheppard, Leo Strauss and the Politics of Exile: The Making of a Political Philosopher (Waltham, Mass: Brandeis University Press, 2006), p. 96. Salomon, Kallen, and Kaufmann were Jewish. Kurt Riezler was German but philo-Semitic and anti-Nazi. I have not been able to determine the ethnicity of Heinemann, Hula, and Mayer. 5. The quote from Mephistopheles is from Goethe, Faust, Part I, 1851–55.